Spiritual Energy Downloads – What Are They And How Can You Access Them!? 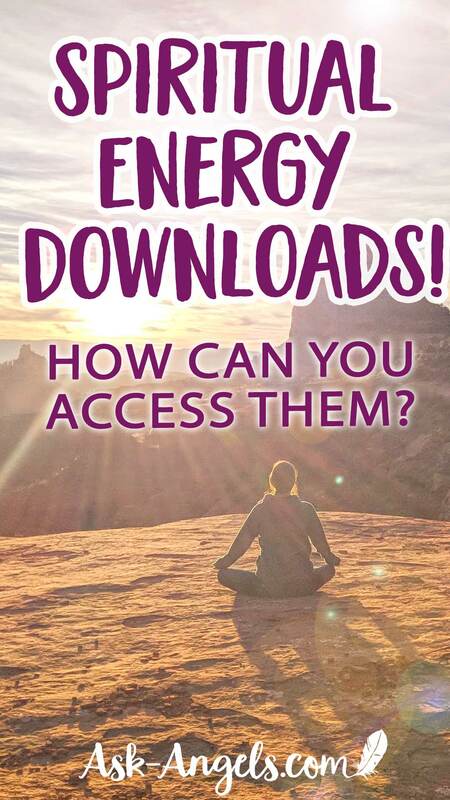 What Are Energy Downloads? Are They Happening to You? 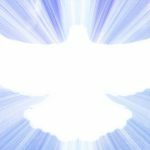 As you continue to progress on your personal path of ascension, you may experience a common phenomenon that’s often referred to as spiritual energy downloads. So what are these downloads all about? 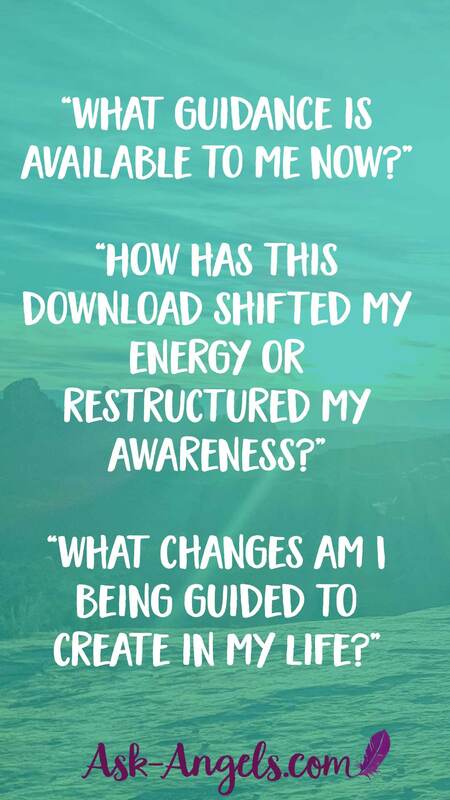 Well, first and foremost, the term download is a metaphor used to explain the process of receiving an influx of knowledge, higher light frequency, awareness, or receiving consciousness updates to the programs within your mental and physical operating system. The term download really is a powerful metaphor for this phenomenon, because receiving influxes of light and conceptual awareness in this way operates in a very similar manner as to how you would download a program to your computer. Let's look at that for a moment. Your computer is presently running on a certain operating system. The operating system manages your computers memory, processes, and all of its software and hardware programs. As technology advances… You have the option to download updates to your present operating system. These updates bring advancements to your computing experience and are meant to improve the overall experience of using your computer. When you successfully upgrade your operating system, your computer will run differently and in a new way. Maybe it runs faster, maybe it has a sleeker interface … No matter the specifics, in one way or another it is upgraded. Alternatively, you have the option to download new programs to your computer. These new programs allow your computer to perform new tasks, to access new information, and they allow you to create new possibilities, using your same existing computer. The same process is essentially true with you in the physical. You're able to download higher light, Divine Consciousness, soul awareness, and healing frequency in order to upgrade your operating system of beliefs and to access new programs and new possibilities such as healing abilities, new psychic senses, and new levels of awareness. Energy downloads can come from a variety of sources. You may download light frequency and information from your soul, from your higher Divine I Am Presence, from your team of guides and angels, direct from the infinite, from the awakened human heart grid, from the crystalline grid, the great central Sun… And really from a number of different sources. In my perspective, the way a download comes in is through your Crown Center at the top of your head. When a download happens, it's like receiving a blast or surge of a light into your being. You momentarily link in with the stream of infinite divine consciousness to receive in a flood or river like flow, divine guidance, insight and realization. An interesting way to look at energy downloads is that they are packets of information. So back to the computer analogy. Receiving a spiritual download is much like you’ve just downloaded an amazing course in a .zip file onto your computer. So, the course is all there on your computer… But it's zipped up, it's packed up, and so to access the knowledge contained within it, you need to unzip the file, and then actually go through all of the course components to receive the information your computer now has on it. The same is true when receiving downloads as a physical being. Flowing in through the crown chakra, in through your mind's eye, your throat, your heart and then integrating into your being through your Ascension column of light, which is the central energetic column uniting all of your chakras centers as one pillar or one column of light that grounds all the way down to the crystalline core of Gaia Mother Earth, and links all the way up to the light of infinite, the light of the Divine, the light of Source. When you are open, centered, and present in the middle… You’re able to download so much to upgrade your operating system within the physical, and actually integrate the higher knowledge, frequency and consciousness your system has already downloaded and tuned into, but which you may not be consciously and logically aware of yet. The energetic downloads you receive are helping to upgrade your operating system. You're downloading insight into programs you’re already running… And tapping into new levels of awareness, new knowledge, light higher frequency, and new abilities that you can then through your awareness (through staying centered present and observing your reality)… You can access in order to bring your gifts to the surface to ascend and to blossom into being the embodied divine being present in physical form that you are. It is the phenomenon and experience on your Ascension path where you're receiving guidance, knowing, frequency upgrades, and activations that serve you in ascending and further progressing on your spiritual path embodying more of the light of the Divine Being you authentically are. With new spiritual downloads there often is a process of unzipping the file to access the information. Because here’s the thing… As you progress on your path, and through your meditations, through experiencing gateways of light and high energy dates, you may receive downloads of information. You might even feel them come in via tingling sensations of light, sudden epiphanies, or flashes of inspiration where you see the big picture as to what's possible for you… Where you see this big vision about what you are really here to do as a divine being, as a star seed, as an earth angel, to embody and to create. But even once you’ve received the most incredible download, there's likely going to be a gap between this new program that's been installed and your current level of programming your current operating system. Back to the computer analogy… When you download an update to a program, you often need to delete the existing version of that program running on your machine before you can install and access the new one! So to truly access the higher divine guidance you've downloaded, there's almost always a process of clearing out the old that is required. There's almost always the need for you to let go of the old and outdated programs running in your consciousness and to be open to a new perspective. In other words, to access the full extent of the downloads you’ve already received, you’re required to release and let go of previous levels of belief, awareness and your prior level of consciousness. One thing that can block you from tuning into the full magic and power of the higher light and spiritual guidance you've downloaded is limiting beliefs, negativity, dense energy, stagnant emotions, all of those same things that are really a continued focus for us all as we progress through ascension. To truly become more of the Divine Light being incarnate in physical form that you are, to fully reveal that which already is… There's an essential process of peeling back the layers, letting go of the illusions, letting go of the fear and blockages so you can access and allow the inner brilliance, inspiration, magnificence of your divine truth to shine through all you do. So although you may already be downloading incredible insights and inspirations, there is often a limited ability to access that guidance… That light packet, or .zip file of Divine Wisdom, until you process and integrate your past experiences, challenges, and lessons. This is why we always come back to “doing the work”, to observing your mind, observing your actions and taking notice of where you're thinking or acting out of alignment with what you really want. It really comes down to being impeccable in every way… Acting, thinking, and feeling in integrity and alignment with your highest Divine truth. Because when you’re centered, clear and present… That which you've downloaded, that light of the infinite, the light of truth naturally springs up from within you. In the present moment, you become able to receive the inspirations needed to create value to do your work in the world and to make a difference. 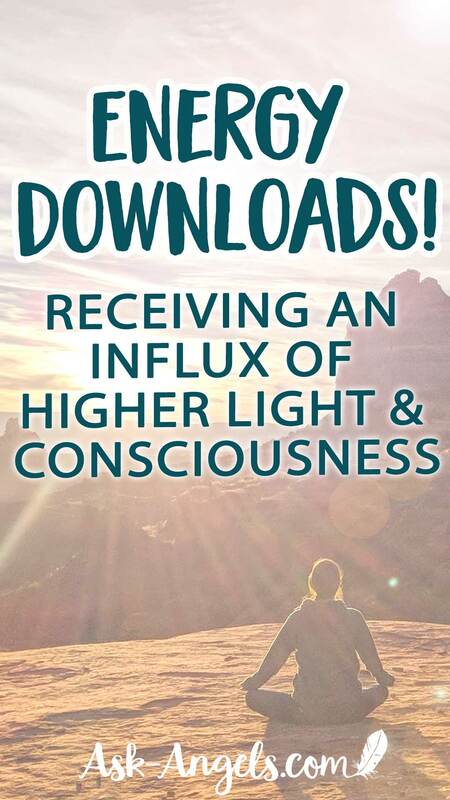 Okay, so something that may come up as you receive new downloads of higher light and consciousness, is that the new light, the higher frequency, and the higher level of awareness, may challenge your present status quo. 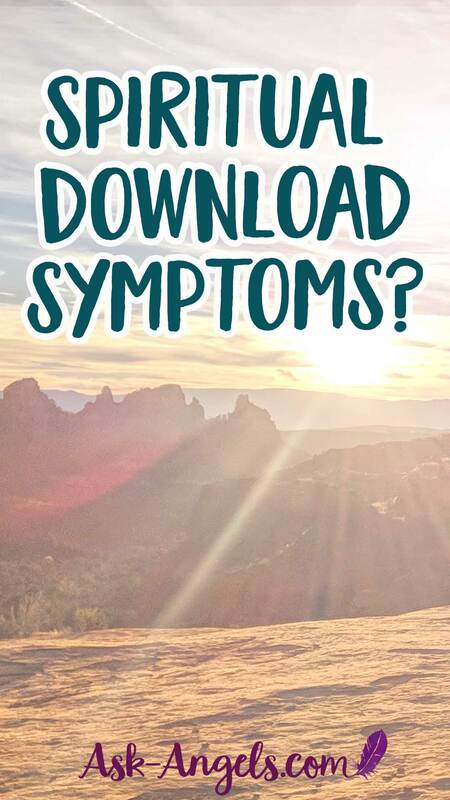 Downloads in and of themselves are sometimes perceived as the cause and source of physical Ascension symptoms. Higher light, incredible divine frequency, and downloads of spiritual energy do not cause physical ascension symptoms. Downloads of light and frequency are blessings in every way. But what does cause symptoms, is the friction and the dissonance between the higher light you're tuning into, and the older programs and energy you're holding on to. When you effortlessly let go of the old programs, beliefs, and your old level of consciousness… there are no symptoms! However, that effortlessly letting go of the old is not actually effortless. It takes commitment, focus and willingness. I am willing to embody the highest Divine Consciousness available to me now. I am willing to let Divine Consciousness embody through my personality and through my physical being. 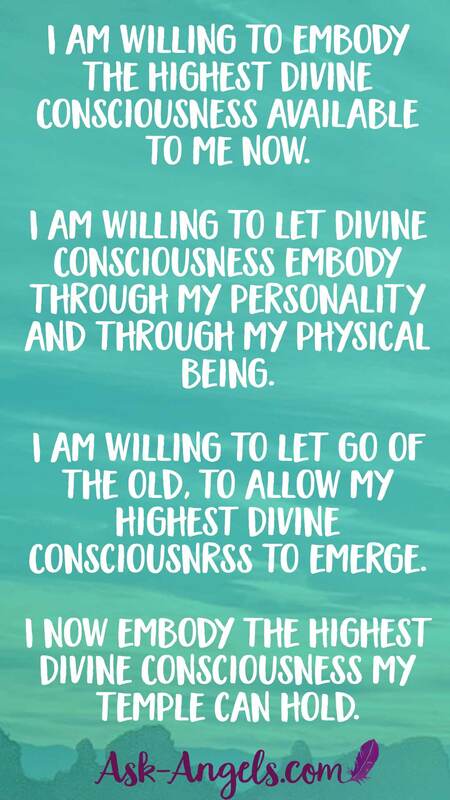 I am willing to let go of the old, to allow my highest Divine Consciousness to emerge. I now embody the highest Divine Consciousness my temple can hold. And when you're aligned with that, when you are tuned in to the perspective of the observer, which is you as your highest Divine I Am Presence… You’re able to integrate the lessons, and receive the blessings of the downloads of light available to you. When you consciously choose to step back and observe yourself in the physical, you're naturally open to receive the influxes of light, the downloads of consciousness, and the higher awareness. When you do when you receive a download, I would invite you to take time to integrate and unpack it. Put into writing your awareness about what it is that download. What is the higher light you've received revealing to you? Are You Already Receiving Downloads? Spiritual downloads are when you receive a burst of divine light frequency, higher guidance and or inspiration through your energetic being. Then, with awareness and presence, you're able to tune into the specific facets and aspects of that download which you can then use to improve your life situation, to manifest your dreams and goals, and to take quantum leaps forward on your Ascension path towards embodying the full I Am Presence of your Highest Divine Light Being. So yes, downloads are real thing and yes they're probably already happening to you! Noting what that feels like, and looks like … What that experience is like for you, and how you can then work through the download to gain the insight and understanding, and take a quantum leap forward through accessing and integrating the download of higher light. Remember that higher light will likely shine a light on old issues, outdated programs and distortions running within your mental, emotional and spiritual field. When you become aware of these things… Learn from them, heal them and release them. Stepping into alignment with the divine being you authentically are. Keep shining, stay present, and stay open, because when you're open and when you're present, that's when you're able to be aware of the higher guidance, knowledge, frequency, truth, wisdom, psychic ability, and infinite possibility you’re downloading. I can almost guarantee that there's more that you've downloaded than you've yet to extract, integrate and access. So the key is to do the work. Expand your heart light, tune into your Ascension column. Feel your oneness with the Earth, with the Infinite Light of Source, with All That Is, and become aware of the guidance available to you now. Remember that one moment at a time you are guided … With presence and awareness you can tune in to that guidance, and you can ascend, evolve and grow. Be willing to cleanse out the old outdated programs and beliefs so you can step into alignment with more of the Divine Light being and truth you authentically are. The Veil Is Thin and Getting Thinner…. There were a few times several years ago where I would get this buzzing in my head. I did feel like I was receiving a “download”. While it was going on, I had trouble moving and speaking, but I could do it with some effort. The first time it happened, it scared me. I called my daughter while it was going on. She thought I was drunk! That would have been tragic because I had been in recovery from alcohol addiction for several years at that point. I finally convinced her that was not the case. I used to ask my spirit guides and angels to please only let it happen when I was alone at home, because I was afraid something bad would happen while I was in that state. Does any of this sound like downloads to you? Just wanted to know if my experience is downloading: ——— Sometimes when I close my eyes, I see colors and also see white puffy like swirls (almost ghost like) moving throughout my closed eye vision. I do feel as if this is spiritual but I wonder if it is a form of downloading? If I were to try for this to happen it won’t. Trying doesn’t work for me. It seems it must just happen. If not can this be explained? I would appreciate any info you may share. Thank You, Thank You in advance. LOVE to you Melanie and my adoring angels. I get very audible ringing in my left or right ear. Rarely, I feel another sensation around my head but I know it’s significant. Sometimes I feel a tugging on one of the ears. Would this be a “download” ? Thank you for this article/video.